In your exploration of methods to attract new members to your club it can be tempting to avoid free offers and deals. After all the common assumption is that if people want to come along they will just come along anyway. However, it’s entirely possible that people just don’t know enough about your club yet and removing the barriers to trying it out can make a big impact on your ability to attract new members. A while back we discussed the impact that the rise of the internet has had on the cost of everything. In that article I finished up with a look at why things have become cheap or even free, and we discovered how very clever people are using this perception of free to promote their businesses, products and services, in the process exposing their work to a vast audience for virtually no cost. How many new people (and their circle of friends, family, workmates, personal and business networks) would be made positively aware of, and have a positive opinion of your club if you offered free hire of your clubhouse for kids’ birthday parties, weddings, funerals, music nights, exhibitions, group meetings, coffee mornings, weight watchers, meditation classes, gardening groups etc etc? How popular and well thought of (and recommended to others) would your club become if it was the central focus for the village or town’s Christmas and new year celebrations, a local arts festival, a beer festival, Christmas, Spring and Autumn markets, scout meetings or even a temporary soup kitchen for the homeless in the coldest months of the year? 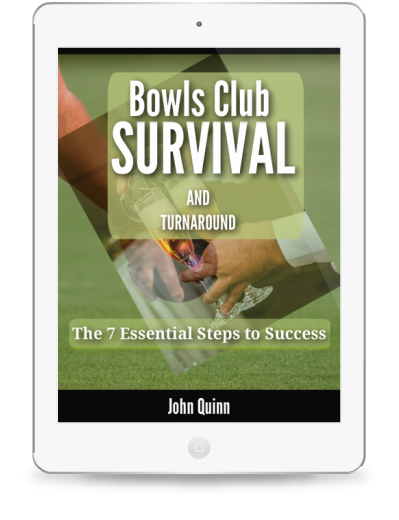 How respected would your club become if it became a centre of excellence for everything to do with bowling? 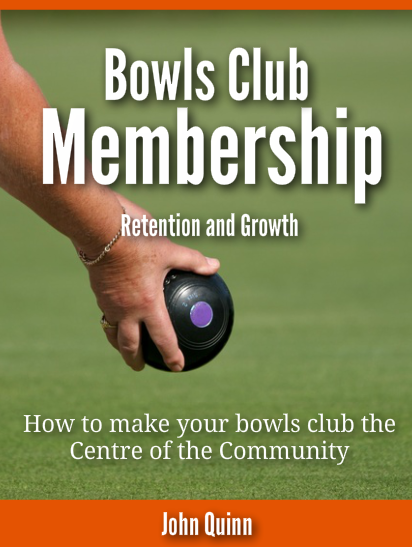 : creating and managing performance bowling greens; coaching and developing excellence in junior, county and national bowling sides; training and developing world class umpires; promoting and exhibiting cutting edge bowling club management techniques and training. Free is the new “paid for” when it comes to promoting your club or business…but instead of giving stuff away for free you are actually gaining a huge amount of value that no amount of money could buy, so it isn’t free at all! In that earlier article I used the example of a software seller in Australia. In the past to sell enough software to make a living she would have needed to spend a lot of money on fancy packaging, distribution, retailer profits, marketing and advertising; none of which is needed any more as the word about their excellent software spreads around the world, virally for virtually nothing as they give it away for free. If you like it and want to continue using a fully featured version then you pay for that. This is a very honest and quality focussed way to do business. Only by filling the exact needs of the customer and responding to customer requirements will they be able to guarantee keeping that customer for the long term. This is actually not very difficult to do if you just assume everyone you encounter is a valuable customer, either directly or indirectly; maybe now or sometime in the future. Every positive interaction that occurs between your club and anyone else is a stored up positive. Your club can employ exactly the same techniques by thinking differently about FREE as a means of introducing people to your club.